There's never been a better time to go green. Show your customers that your product is completely organic with this sleek sticker. 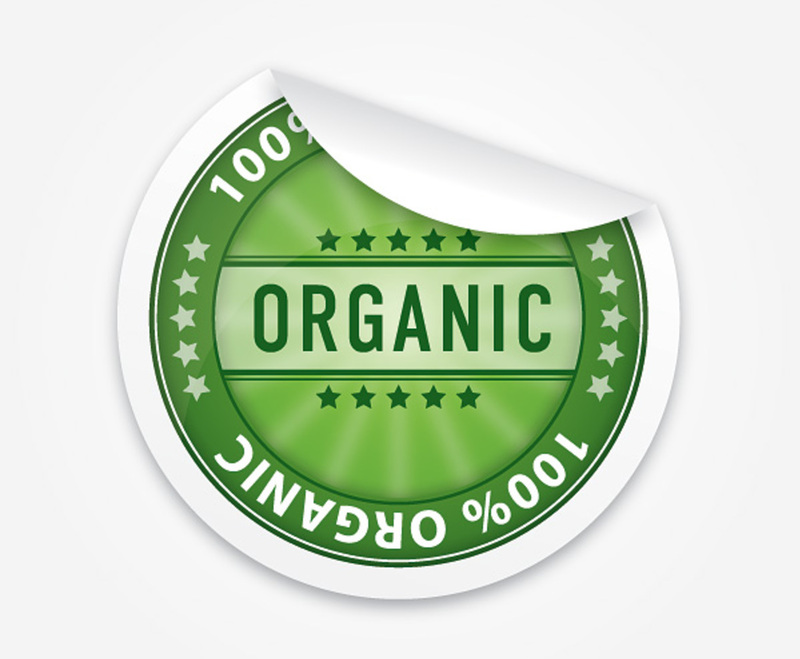 The graphic uses shades of green to create an official-looking badge, which bears the words “100% Organic” in white text along the outside of the circle. In the center, five stars surround the word “Organic,” highlighting the message and adding some authenticity. The sticker peels back, and you can creatively position it to reveal important details on a poster or web page. With a few quick edits, you can change this graphic to reflect other eco-friendly attributes of your product.